With over 15 years of experience in website development and SEO marketing, rise local can help your business go further. They have developed a digital marketing tool set and process that is built from the ground up with growth in mind. Specializes in Web Design, SEO, Pay Per Click. 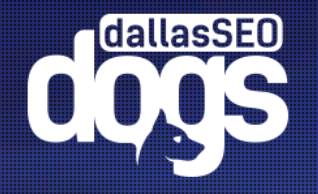 Dallas SEO Dogs is a complete digital marketing company that offers in-house search engine optimization, web design, and digital advertising. After getting to know you, they will work closely with you to develop and implement A complete digital marketing strategy. And they’ll follow up with regular evaluations and fine tuning. Specializes in SEO, Web Design, Pay Per Click, Social Media Marketing, Content Marketing. D 6 interactive is a Dallas based web design and digital marketing company that provides creative and innovative solutions for small and large businesses alike. Their goal is to deliver high quality at a reasonable cost. Specializes in Web Design, SEO, and Social Media Marketing. OneIMS is a digital marketing solution with offices in Chicago, Hong Kong, Singapore, and Dallas. They have a simple process to help you move from where you are to where you want to be. They will evaluate your current position, define goals for the future, develop a strategy, execute that strategy, and track performance – making changes as needed. They have a proven track record of success and can help your small business achieve more. Specializes in SEO, Pay Per Click. As a decade old company, WEBITMD has built a reputation for quality and innovation in the digital marketing space. With a focus on growth, their strategy includes driving new traffic, developing a sales funnel, and converting customers. This simplicity allows them to do what they do best and leads to greater effectiveness. Specializes in SEO, Pay Per Click, E-mail Marketing, Content Marketing. JSL Marketing & Web Design is an innovative, Dallas based SEO company that is dedicated to helping you discover what makes your business tick and how it can be more affective and reach greater heights. They do this by helping you develop your brand, market more effectively, and develop a website that works. Specializes in Web Design, SEO, Pay Per Click, Content Marketing. Red spot design, a Dallas based Internet marketing and web design firm, was named one of the top web design agencies in the United States in 2018. They earned that reputation by being a full service web development company specializing in building better, search engine optimized websites and helping clients grow traffic and sales. Specializes in SEO , Web Design, Digital Marketing. PixelCutLabs is an award winning SEO agency that’s been featured in Forbes, on TED, and in USA Today. They have a proven track record of developing effective website the generate traffic and increase sales. Unfortunately, their services don’t come cheap. However, you get what you pay for and if you go with PixelCutLabs, you will get quality. If you want higher page rankings and a more effective SEO strategy, consider Dallas SEO Geek. He will help you understand why you need to optimize your site for search engines, where you may be currently losing traffic (and business), and he will help you move your site up the rankings by developing better content. Specializes in SEO, Digital Marketing. Thrive was named one of the top SEO agencies in the United States in 2018. And their reputation is well deserved. They work closely with their clients to develop strategies that are tailored for their business and industry. And with a wide range of services available, they’re a great option for any business that wants to attract more customers and convert more leads.